What a looker! Nice pics. No offense but the mirchi thing just ruins the look. 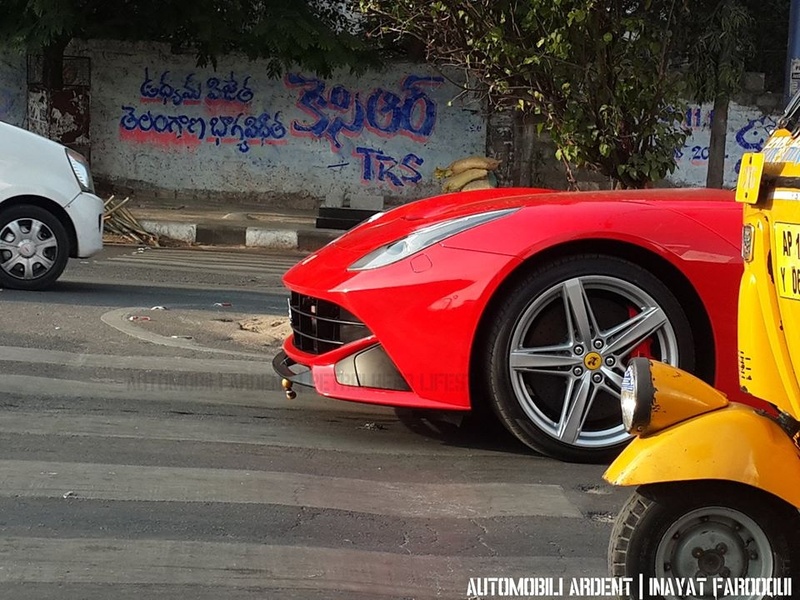 Hyderabad seems to have some good cars running on the roads. This one stands out though. TFS! everyone got their own ways. The car looks good, but next to an Aventador it will feel like a toy. 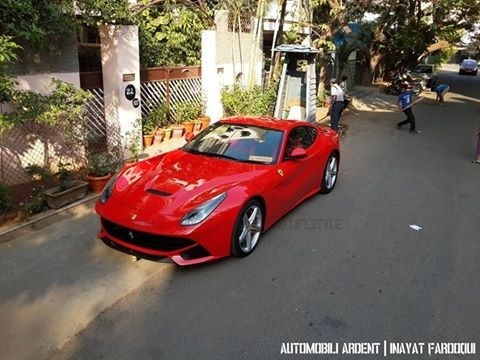 Mumbai is also getting another Grey F12 soon. The car looks good, but next to an Aventador it will feel like a toy. I dont agree on the drivability front. 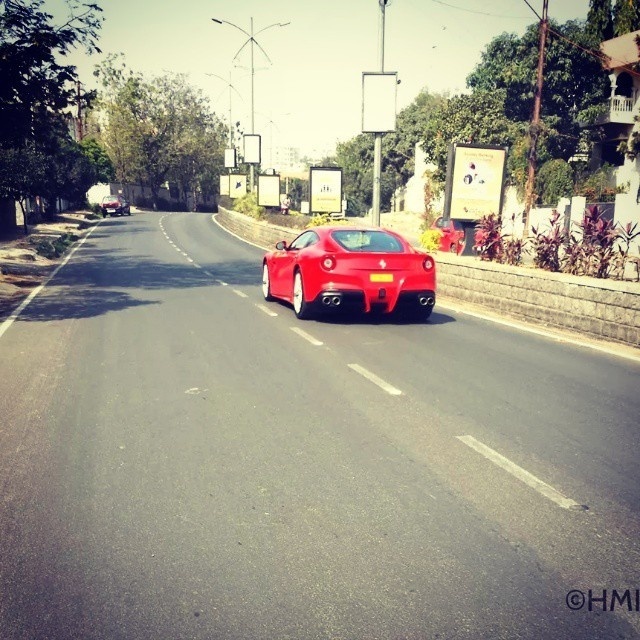 The F12 has got immense power and only the rear wheels have to bear it and thus makes it drivability very low. I know the Aventador has got a neck breaking gear changing system, but still, quite manageable when compared to F12. 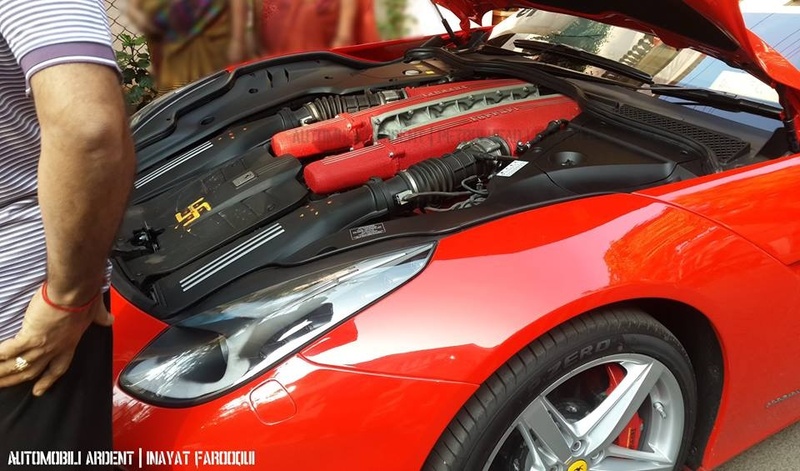 The Huracan is a huge leap by Lamborghini by fitting such an awesome transmission. No way dude, The F12 is way more practical compared to the Aventador. I've landed my hands on both the cars (While in UK), the F1 mixes both performance and drivability whereas the Aventador offers only a wilder sensation, based on performance it's much wilder than the F12 but overall the F12 ticks it for me. Just got a ride in this Beautiful Italian Stallion! WHAT A CAR What a ride.